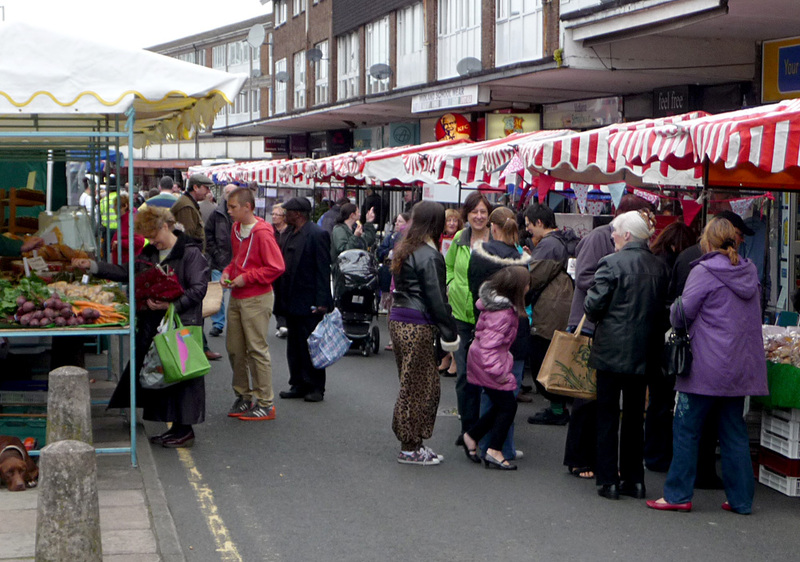 The second Acocks Green Farmers Market is tomorrow (Saturday), 9am til 3pm on the service road on Warwick Rd, opposite Holy Souls Church. Lots of delicious local produce and goods available. 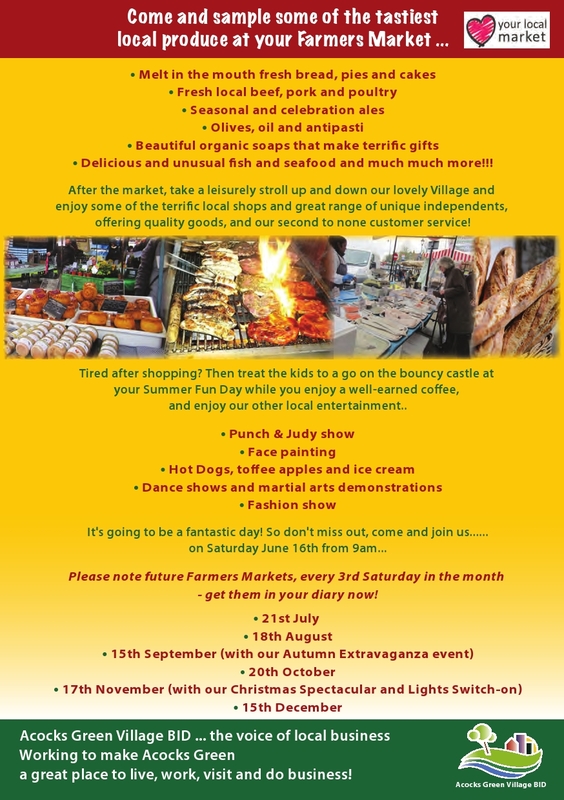 Support our village and spend your money at the Farmers Market and the shops of the village. The forecast is warm with sunny spells too. This entry was posted in Events and tagged 21st July, Acocks Green, Birmingham, Farmers Market, local produce, Warwick Road. Bookmark the permalink.